Pavlo Kolovos is the Head of Mission for MSF in Bangladesh and shares his thoughts about the current situation for Rohingya refugees in the camp. 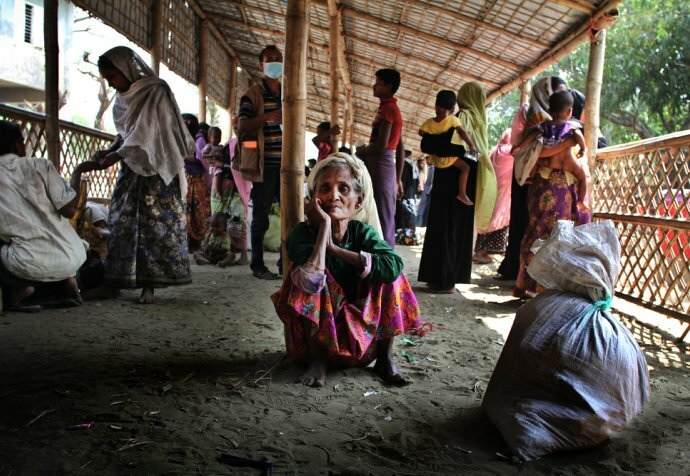 “Most of the Rohingya are in a camp that has been there for more than 10 years. The camp has always been high density with houses made from bamboo poles, plastic sheeting and brush laying over the top of it, with just dirt pathways running between them. The expansion as a result of the hundreds of thousands of people who have come in since August looks very much the same. The houses are still very simple structures, now with mud barricades to keep water from coming in. The vast majority of people coming from Myanmar fled in September and October but we’re still seeing hundreds of people every single week coming over. In February almost 3,000 people arrived, still fleeing violence and difficulties in Myanmar. "It is absolutely shocking to see the view from one of the first health posts that MSF built – you can’t see the end of the settlements"
The people we talk to in the camp are very glad to be in a place where they’re not actively persecuted and facing violence on a day-to-day basis. Myanmar was their home – that’s where their lands were, where they farmed and fished, and that’s where they made a living. Of course, they want to go back, they just don’t want to go back to the wrong conditions: the violence, the isolation, the lack of status, and the lack of livelihood that they were facing in Myanmar. It is absolutely shocking to see the view from one of the first health posts that MSF built – you can’t see the end of the settlements. You look to the west and you look back to the east where you came from and you just can’t see the end of the camps. It’s absolutely astounding, heartbreaking and humbling to see how big this camp has become and how much need there is inside. This is the largest refugee camp in the world right now, so the amount of work that needs to go into just maintaining the most basic humanitarian services is a tremendous challenge. The fact that the camp is so dense complicates that because there isn’t much room to build the facilities that are necessary. Nonetheless, MSF activities have scaled up more than ten-fold since the beginning of this most recent influx. We had one hospital with 50 beds and two outpatient centres. Now, we have five hospitals with nearly 300 beds, and almost 20 health posts throughout the camp responding to basic healthcare needs, seeing up to 15,000 patients a week. MSF has community outreach teams that are constantly monitoring the health of the population and looking for any early signs of outbreaks so that we can respond. MSF is also working on the water and sanitation conditions to improve the availability of clean drinking water and latrines. An enormous challenge that we’re preparing for is the monsoon season. Three months out of the year Bangladesh is completely inundated by rains and this area is no different. It is expected that when the rain comes that tens of thousands of people are living on land that will succumb to landslides because of the way the hills have been terraced and the brush has been cut out of the ground to use as cooking fuel. Tens of thousands more are living in areas where the rain will create flood zones and make the houses that they’ve built unsustainable. Thousands of people will be cut off from access to the basic humanitarian services that are available now. Given that people that will be displaced inside this camp of displaced people, the challenges are massive and frankly, quite daunting. The lack of access people will have to basic emergency facilities for trauma care becomes impossible. Another concern is the need for pregnant women to be able to access maternal health care. If women can’t reach a healthcare facility then the health risk for them and the course of delivery for both the baby and for the mother are extremely high. The water and sanitation situation in the camp is really quite dire. With the upcoming monsoon season, we expect that to get significantly worse. When the rain comes, the flooding will infiltrate the latrines and that puts waste out into the public area. The risk of waterborne disease is tremendous and we’re working hard to establish treatment centres that we expect will be necessary to respond to outbreaks. 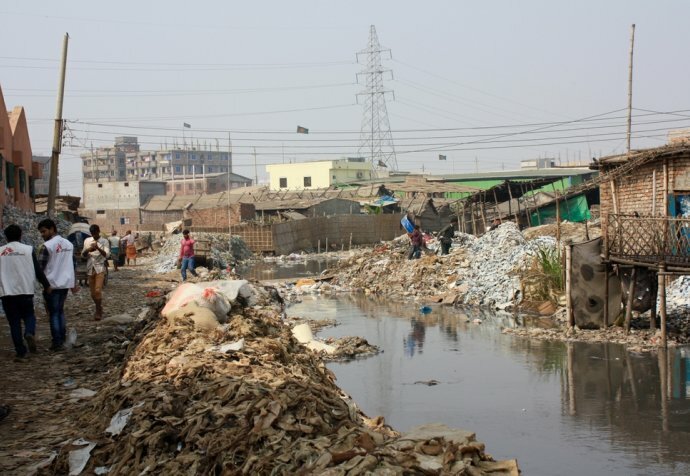 People living in dense conditions increases the risks of all communicable disease and we look at the risk of dengue, the return of measles and diphtheria, hepatitis, and an increase in tuberculosis and whopping cough.